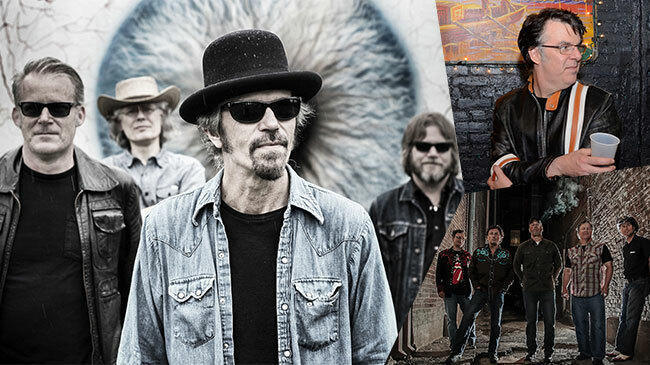 The Bottle Rockets’ brand of populist, Midwestern, brawny rock ‘n’ roll is a sound so effortless, it’s easy to take their craft for granted; a sound so universal, yet unmistakably The Bottle Rockets. They’ve crushed rowdy Friday night crowds, convinced sitting audiences to get on their feet, and pulled weary festival onlookers across muddy fields to the front of the stage. With their twelfth album, South Broadway Athletic Club, the quartet gives a master class in capturing the beauty of everyday life, and painting a portrait of ongoing hope. Combining forces with veteran alt-country rock legend Eric “Roscoe” Ambel to record and release their second album (September 2015), The Howl and the Growl placed in the Top 100 Albums of 2015 in Americana music magazines Alternate Root and No Depression in 2015. The Surreal McCoys went on to perform at SXSW, debuted The Howl and the Growl to standing room only crowds at Nashville’s AmericanaFest in a double bill with The Bottle Rockets and earned “Whole Lotta Folsom” a spot in regular rotation on Sirius XM Outlaw Country.